So what ONE image would you share to define the essence of your school? When I visit other schools or talk to people from other schools (kids, parents, teachers, admin…) the first thing I want to know is what their school is like (you know, that all-encompassing term that asks for something between broad generalization and granular microscopic rendering). I want to know how it feels to teach and learn there, the experience of being a parent there. I want to know that je ne sais quoi that makes that place singular amongst all the many tens of thousands of schools the world ’round. We generally think of a school calendar in terms of dates (first day of school, grading periods, holidays, PD) and events (orientation, Back to School Night, assemblies, state testing, graduation). It’s all good stuff and a necessary part of moving a student body and community through a school year; for high school there is a particular weight to these different pieces as many of them determine what our students will be doing after their departure from compulsory education. So what about the experiences that are unique to YOUR school – the events, celebrations, festivals and gatherings that kids will be talking about at their 20, 30, 40 (50, 60…) year reunions? Those experiences that come to define the soul of your school – the anchor that graduates hold on to as they move forward into their adult lives? One thing is likely – they will not be talking about the AP Lit exam they took in May of senior year. What are YOU helping to create in your local setting to help plant the lifelong memory? Culture starts with the adults forming community amongst themselves – building stronger relationships, calibrating values, having memorable experiences together. 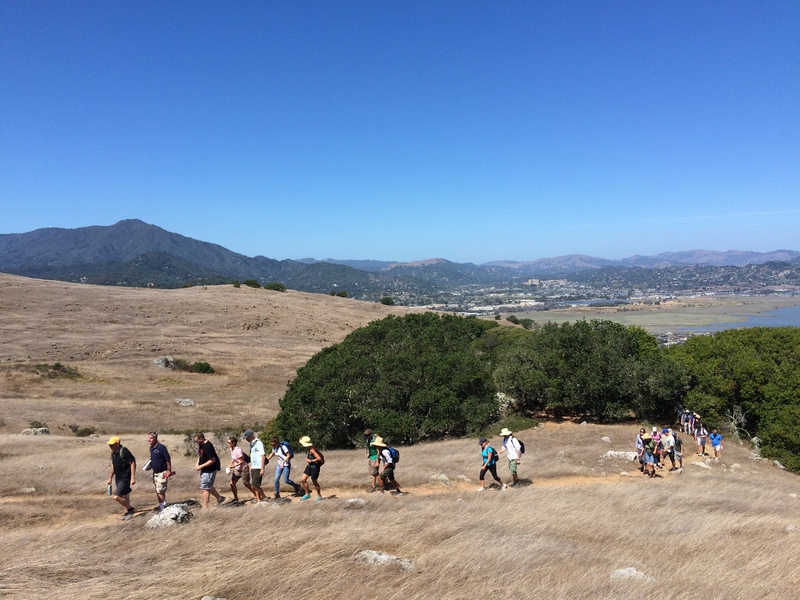 Make the first day you’re together as a staff an outdoor adventure. 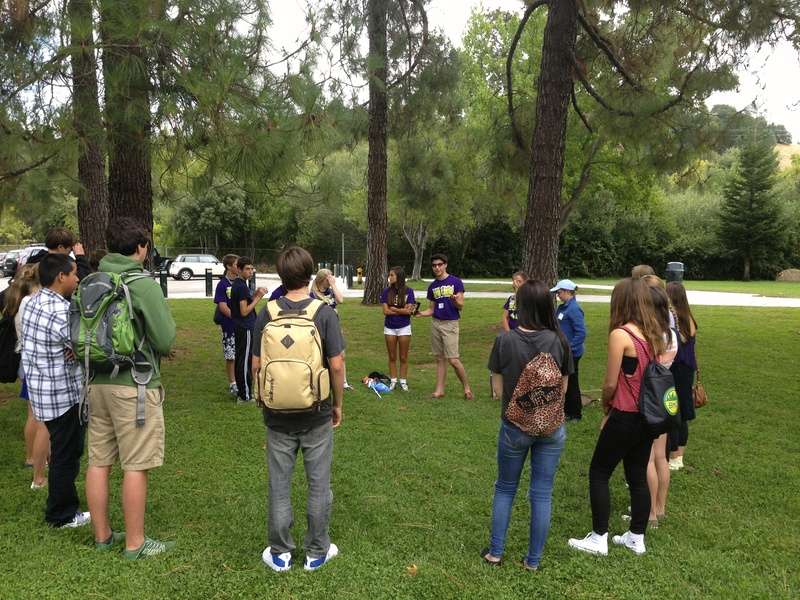 What do a new student’s FIRST steps on campus look like? Who is there to greet them? Sorry, but I’m going to have to drop all auspices of objectivity and root for the home team: nobody does the first day of school better than Sir Francis Drake High School (yeah okay so WHAT if I worked there for 6.5 years?). The picture above is of freshmen entering their orientation at 8:00 am through a gauntlet of smiling, cheering student LINK leaders and staff. The origins of the day hearken back to some staff members driving back from a CADA conference and thinking about how to set a TONE for the whole year rather than having Day One, Minute One feel like “school as usual.” So how to anchor this kind of purposeful community building in something more transcendent that just some cheering? Hmmm…let’s define what we aspire to as a community first! 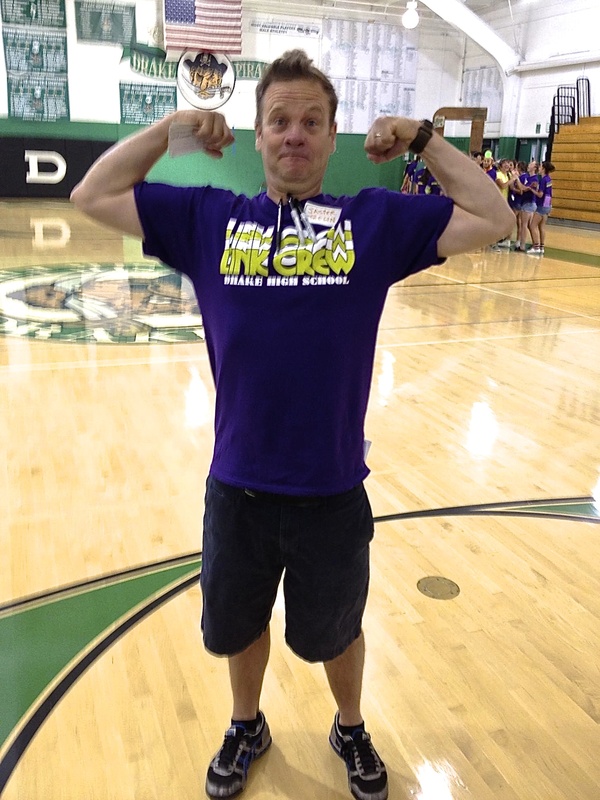 After messing around with the acronym “SPIRIT,” our team realized they were a letter off from our mascot: PIRATES!! Passion, Integrity, Reflection, Attitude, Teamwork, Empathy, Scholarship. 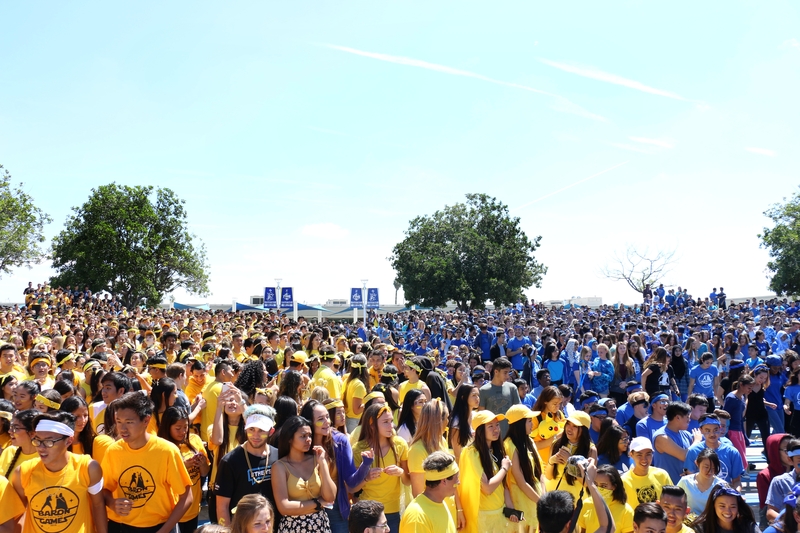 Day One at Drake embeds frosh orientation into a matrix of speakers, art/music experiences and an all-school barbecue put on by parents; each year has a theme as well (Make A Difference and Grit being two recent ones). Kids meet all their teachers, however there are no “normal” classes. If you are not in session yourself on the 3rd Wednesday of August, I strongly recommend that you arrange to visit. Who was the first person you made a connection with in high school? I remember mine. Litmus test: how does staff FEEL on Day One?? Ask Dan!! 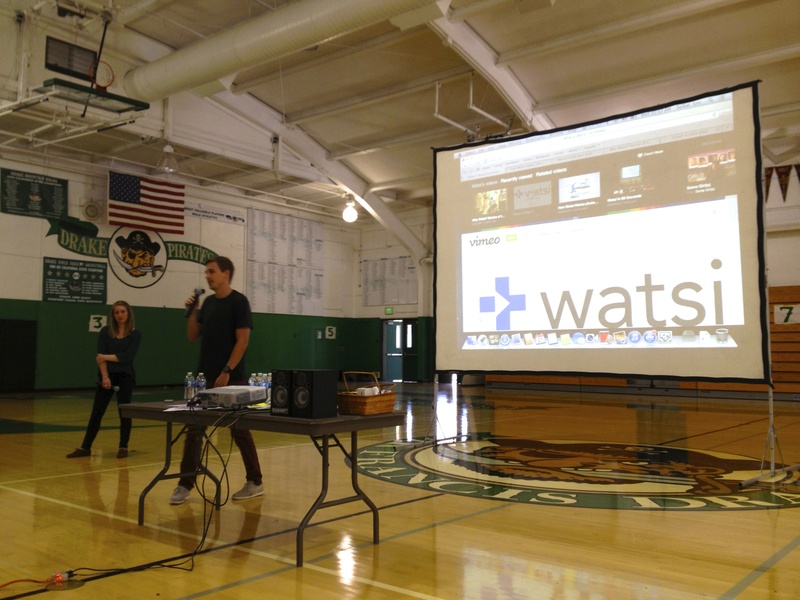 #MakeADifference: Pirate grads Grace and Chase talk about their non-profit Watsi! Recommended timeframe: Once a trimester/semester. 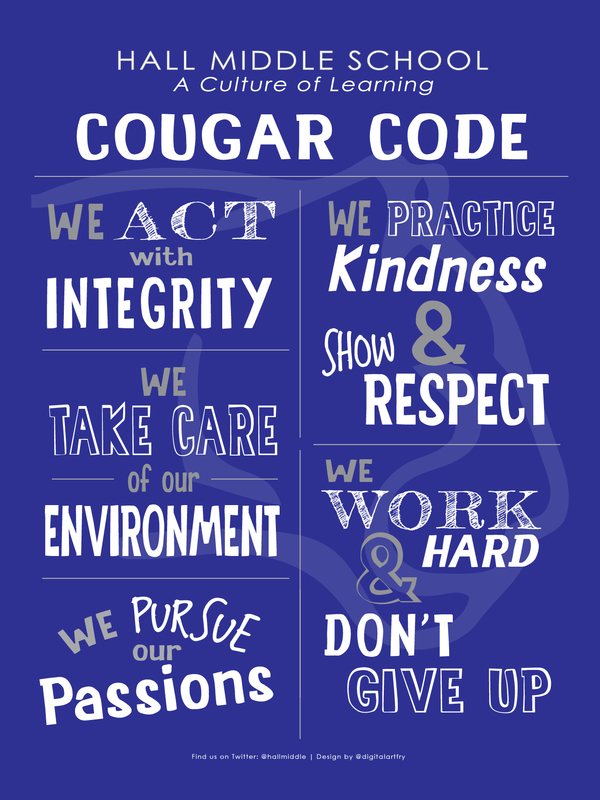 Don’t have a set of core values as a school? 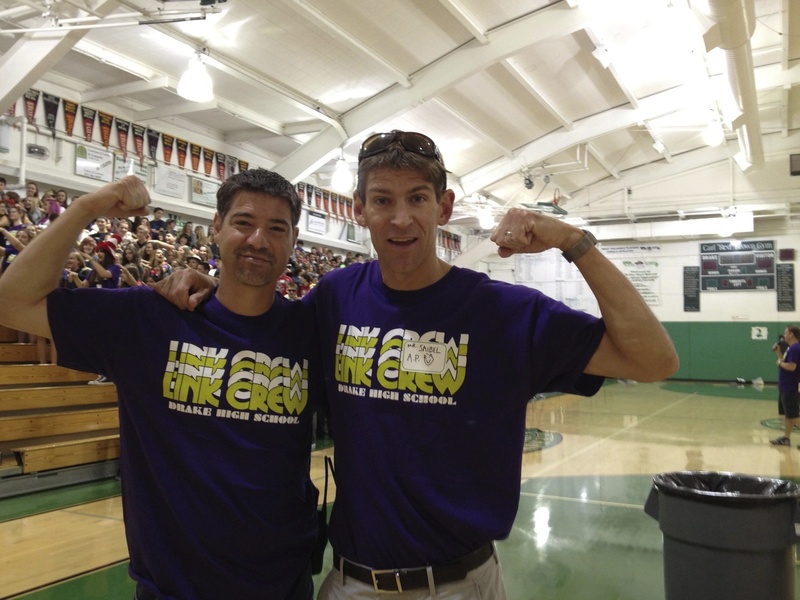 Read how we established ours at Hall Middle. 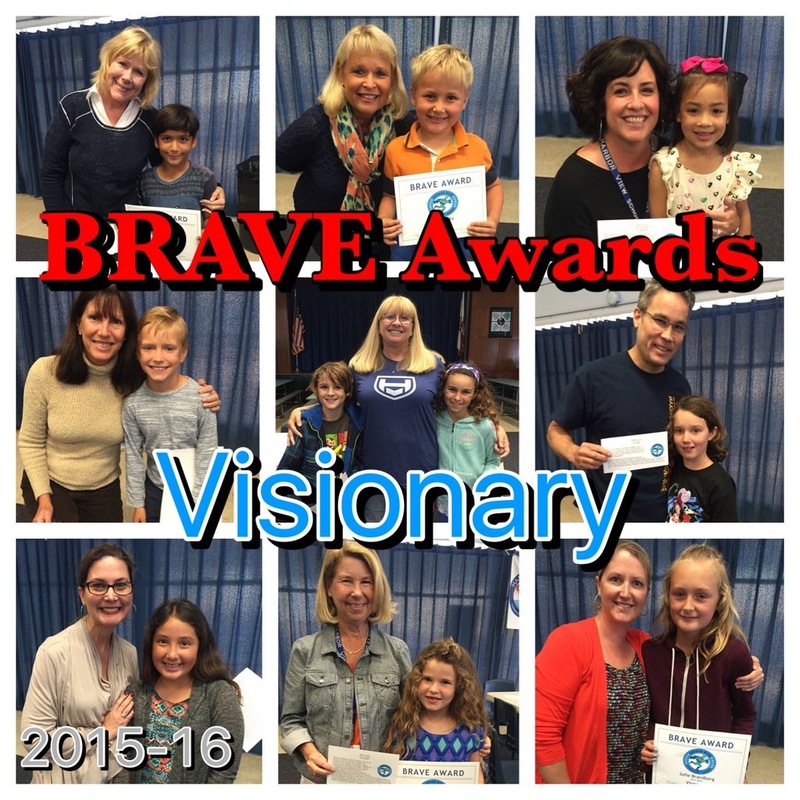 One celebration we have is our BRAVE awards. We are the Harbor View Vikings, so we came up withe acronym BRAVE to define the traits we want our students to develop. They stand for Bold, Respectful, Accountable, Visionary, Empathetic. For two months, we focus on one trait with classroom lessons, Principal read-alouds, etc. At the end of every two months, we host a lunch with the teachers, students, and their parents. Teachers come up and let the group know why the child was chosen. We give a certificate to the students, a copy of the speech to the parents, post pics on social media and the school blog, and celebrate them at our flag deck ceremony the morning of the award lunch. While we have a bunch of monthly celebrations, this is the pinnacle award as it emphasizes our desire to focus on character. I even email each parent personally notifying them of the award, what it is about, and congratulating them on raising such a fine individual. Global School Play Day to warm ourselves in mid-winter (or mid-summer down south)! There are 180 (or so) school days a year. What do we think/feel about dedicating ONE of those day to unstructured play (point of clarification – adults can play too!)? Hmmm…let’s ask the almost 180,000 kids that took part last year! On February 1, 2016 we hope you and your students will join kids from every continent (so far no Antarctica – what’s that all about?) in a day celebrating human creativity, ingenuity, connection…and plain, unadorned FUN. After all – fun makes us happy, and happy people learn better. 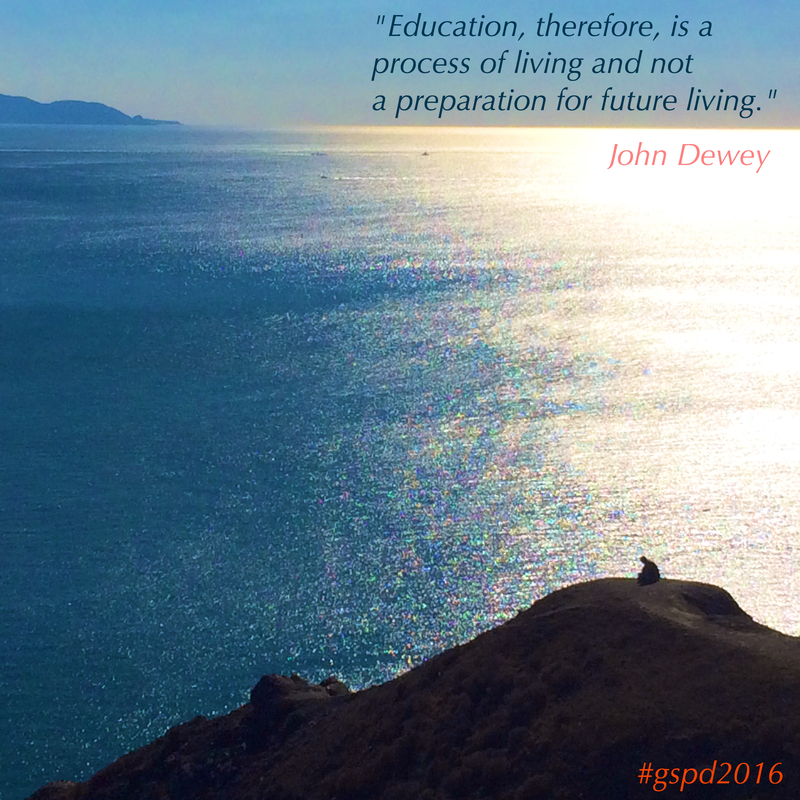 #GSPD2017: let’s undo the Education-as-misery archetype so sadly woven over the last century! 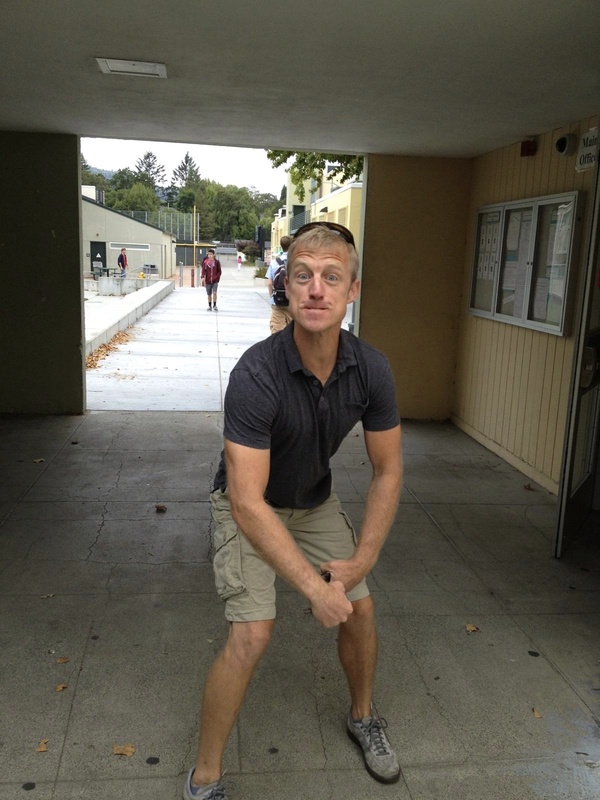 Meriwether Lewis Elementary in Portland sends out enough positive vibes through Principal Tim Lauer’s social media feeds to light up Disneyland. No matter what level of schooling, art is everywhere and the need to be creative is within each of us. How important is this event to the Meriwether Lewis community? 28 years important! 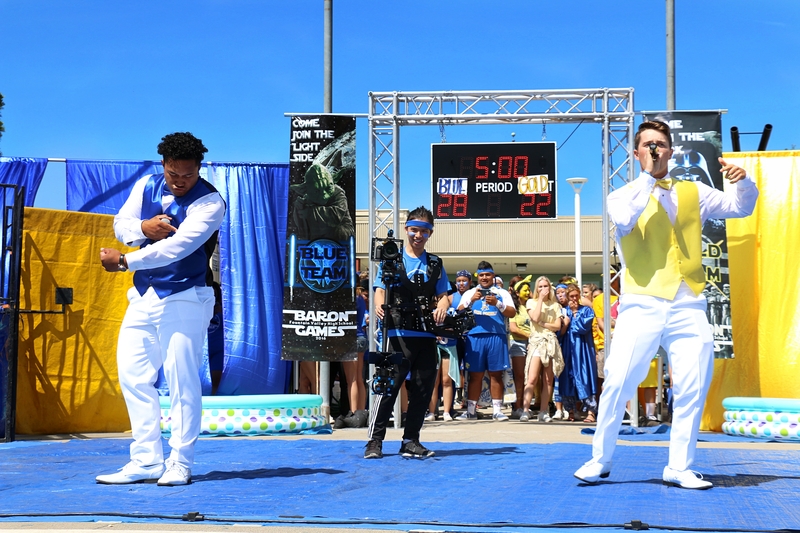 Events like these might be best done on multiple days throughout the school year – some embedded into a normal school day, some as evening events. And don’t forget the adults! Invite contributions from staff and parents and make your school into a living art gallery. Celebrate SPRING (color, brightness, fresh air, joy) with an all school bonanza!! 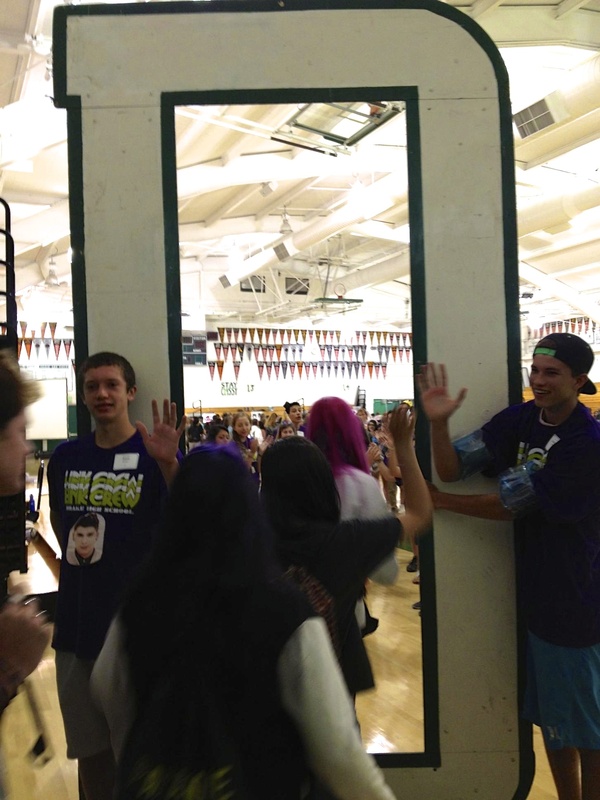 Before Baron Games we had a school-wide assembly called Gender Wars where boys and girls competed against each other–it was really stupid. 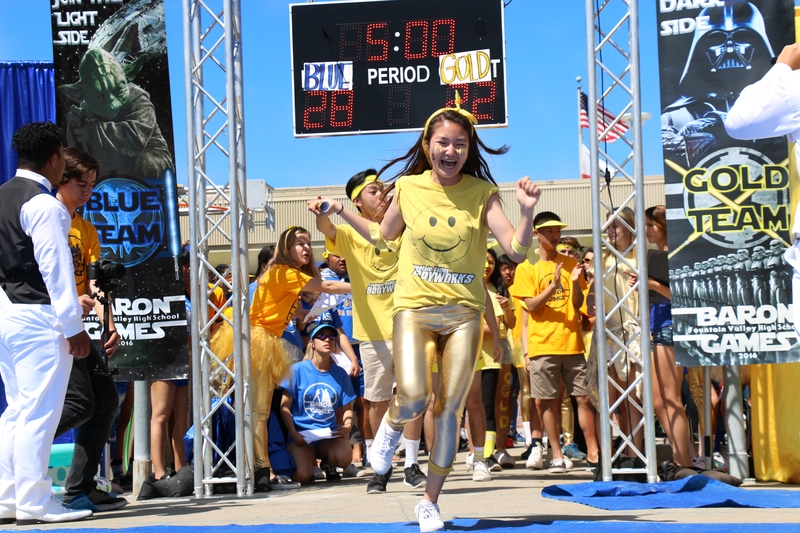 So one of our assistant principals came up with the Baron Games concept, borrowing it from Hunger Games, and it became all about school spirit: classes were joined together (seniors+freshman) and it was all a battle about who had the most school spirit. Way better than its predecessor. Not sure what’s happening here but it looks FUN (how can I join?). Culture is not fluff, the cotton-candy to the Michelin-rated six-course standards-based meal. Culture is what we feel stirring in our chest as we get out of bed in the morning (something giddy or something heavy?) and think of the day to come. Life is not a series of never-ending rainbows, however we have immense power (and responsibility) as educators to embed beauty and harmony into the still-forming-synapses of the young people that flow through our campuses generation after generation like so much snowmelt down the stream. @ecsaibel @VVPetaluma Not a single celebration but a way of being as we interact & learn through the day. Posted in Art and Creativity, Global School Play Day, Leadership, School Culture, UncategorizedTagged Art, community, Creativity, Fountain Valley High School, Harbor View Elementary, Leadership, Learning, School culture, Sir Francis Drake High School, Tim LauerBookmark the permalink.